Kiyomizu-dera is by far the most popular site and one of the oldest temples in Kyoto. Actually, it already had been there before Kyoto became the Japanese capital in ancient times. 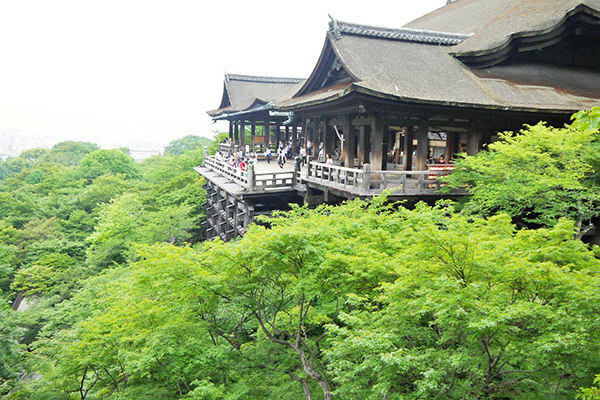 The word "Kiyomizu" is "pure water" and "dera (or tera)" is used for the temple's name. 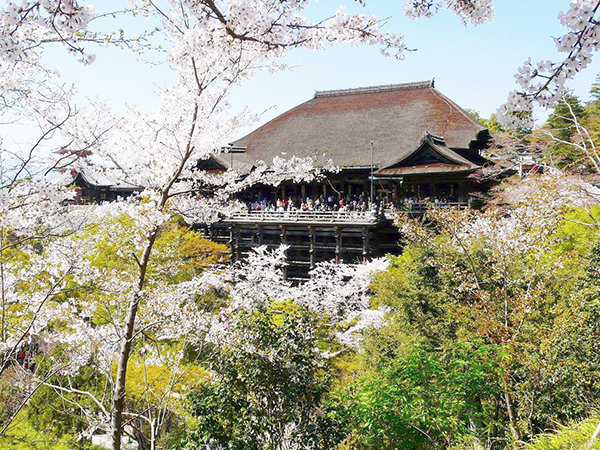 So, "Kiyomizu-dera" literally means "a temple known for its pure water". Tourists should pay attention to many impressive spots in this temple. Above all, don't miss the world-famous scenery of "Kiyomizu-no-butai (the stage at Kiyomizu)". This symbolic vista has been entertaining people for more than 1,200 years. Also, Kiyomizu-dera is one of the UNESCO World Heritage Sites in Japan as "Historic Monuments of Ancient Kyoto (Kyoto, Uji and Otsu Cities) " along with the other 16 very famous temples and shrines in this district of Japan.